Gastric Dilatation and Volvulus (GDV) is a fatal condition most common in large, deep-chested dogs. The stomach bloats with gas or fluid and then painfully twists itself. This causes blockages at the entrance and exit of the stomach, which cuts off blood flow and causes loss of stomach tissue. A dog with a bloated, twisted stomach will die in pain within a few hours unless it gets emergency surgery. If you see any of the above signs, rush your dog to the veterinarian immediately. As the stomach swells, it can burst. Gastric dilatation and volvulus is fairly easy to diagnose. Your veterinarian will only need to perform x-rays and ultrasounds to check if the stomach is only bloated, or if it twisted. GDV is a life-threatening emergency and requires immediate treatment. Gastropexy surgery:after stabilization, your pet will need surgery to tack the stomach into a position in which it can never twist. All bloated dogs need this surgery because GDV usually recurs. If there is dead tissue on the stomach, the veterinarian will remove it during surgery. Sometimes, the veterinarian will also remove the spleen, as it may twist the stomach. In breeds with a high risk of GDV, your veterinarian may recommend gastropexy as a preventative. This will not prevent the dilation (bloat) but does prevent the volvulus (twisting). 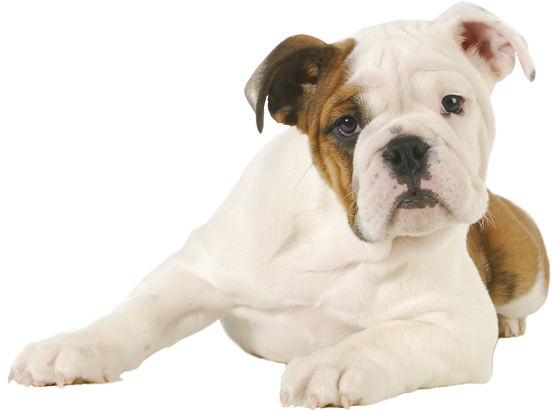 It is a good idea to feed large, deep-chested dogs small and frequent meals. If you catch GDV in time and surgery performed right away, there is a good chance of recovery. Irregular heart rate, tissue damage, and spleen removal all worsen the prognosis. It is important to have the surgery done, even once your pet is stable, because without it, 24% of dogs do not survive. If the dog does survive, in 3/4s of cases, it will have a recurrence.